The new Mini Cooper SD coming to show rooms soon? Reports of a Mini Cooper SD have been creeping around the internet for some time now. 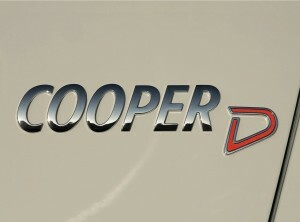 A source from within MINI claims that the new diesel power hourse will debut Cooper SD at the Geneva Motor Show. Powered by a 2.0L 143 hp BMW turbo diesel, the Cooper SD badge is set to grace all current body models. At present specific torque numbers (225 ft-lbs) are but rumours, but its likey that it will offer the most amount of twist that has ever been available in the Mini range. I think if our politicians had to make their living from commercial vehicles on long distance road transport with fuel at to-days prices they too would be suicidal.